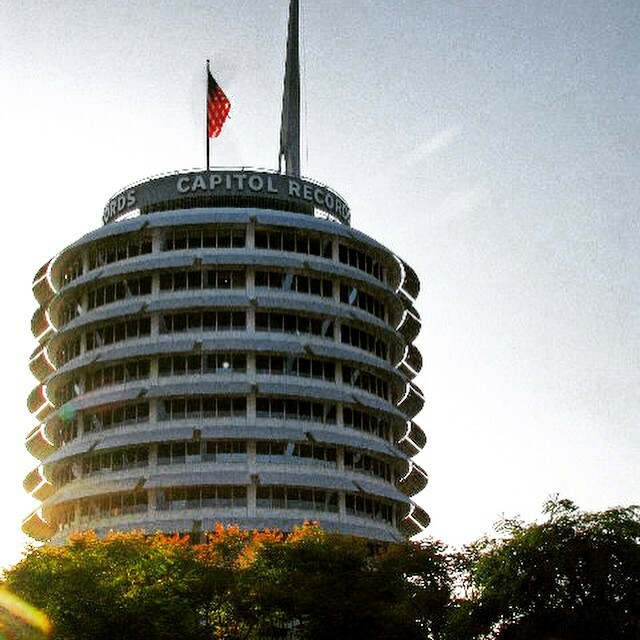 Capitol Records Building in Los Angeles, California. That's a wonderful photo. Evocative. I ache for getting back to California.